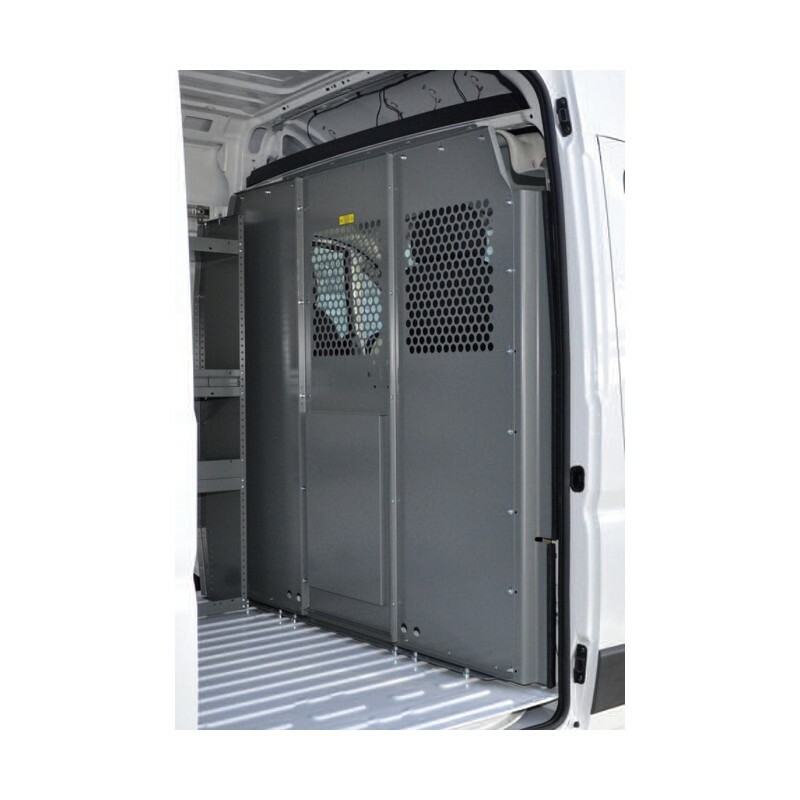 Made in the U.S.A.Fits 2014 to current standard height or hi-roof Dodge Promaster vans.Heavy channel construction and 16 gauge steel partition with steel door pillar mounts give maximum protection from shifting cargo. Center section is an automotive keyed lock swinging door. Top portion of door section and passenger section is perforated for rear and side visibility. Door swings into cargo area for ease of passage from the driver compartment. 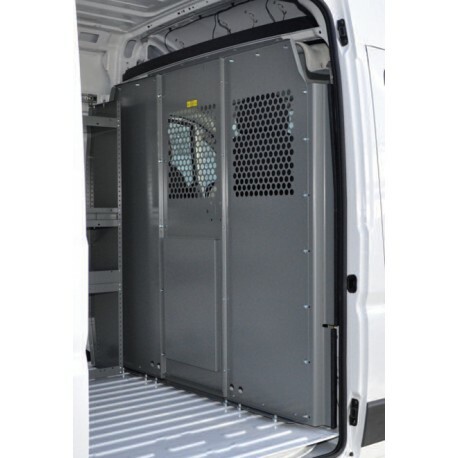 Contoured shape fits neatly along van wall to provide driver and passenger protection as well as security for your equipment. Powder coated Medium Gray Gloss for a scratch resistant finish. Comes complete with all necessary assembly and installation hardware and detailed instructions.